WASHINGTON – On June 29, 2016 seven western state departments of transportation claimed awards in a national competition highlighting excellence in projects that have improved travel safety, reduced roadway congestion and provided more mobility options. The Western Association of State Highway and Transportation Officials, known as WASHTO, announced the winners at its conference in Laramie, Wyo. WASHTO’s membership includes 18 western states and is the second of four regional groups naming recipients of this year’s “America’s Transportation Awards”. Now in its ninth year, the competition – which is sponsored by the American Association of State Highway and Transportation Officials, the AAA motor club and the U.S. Chamber of Commerce – recognizes the best transportation projects in three categories and sizes: Quality of Life/Community Development, Best Use of Innovation, and Under Budget. The projects are grouped into three sizes, small for projects costing less than $25 million, medium for those between $26 million and $199 million and large for those costing $200 million or more. Transportation projects that were completed in 2015 are eligible to compete. The nominations are judged by officials representing diverse industries within the transportation sector. Nationwide, a total of 40 state DOTs participated in this year’s competition, submitting a record-high 84 award nominations. For just the WASHTO regional competition, 15 DOTs entered 30 transportation projects for consideration. In the Quality of Life/Community Development category, Washington State DOT won in the large group competition for its project to replace a bridge and add high occupancy vehicle lanes on Route 520 across Lake Washington, east of Seattle. An interchange and transit facility project by the Oregon DOT on Interstate-5 in Woodburn took top honors in the medium project group. And the project by the Idaho Transportation Department that improved travel conditions and access connecting Bannock Highway to South 5th Avenue south of Pocatello won in the small project category. In the Best Use of Innovation category, Texas DOT won in the large project group for its Lyndon B. Johnson Expressway project north of Dallas. Colorado DOT’s I-70 Mountain Express Lane project between Empire and Idaho Springs won in the medium project group, and the South Dakota DOT Jackson Boulevard Phase II project to reconstruct a section of Hwy 44 in Rapid City won in the small project group. In the Under Budget category, the Idaho Transportation Department’s Grant Anticipation Revenue Vehicle Program, which accelerated the construction of several transportation projects across the state, won in the large project group. Colorado DOT’s project to replace six obsolete bridges along US 6 in Denver won in the medium project group, andNorth Dakota DOT’s rehabilitation of the Sorlie Bridge that connects the cities of Grand Forks, N.D., to East Grand Forks, Minn., won in the small project group. Winners in the two remaining regions will be announced at their meetings in August. The 12 regional projects receiving the highest overall scores will compete for a National Grand Prize to be determined by a panel of transportation experts and a People’s Choice Award to be decided by online public votes. 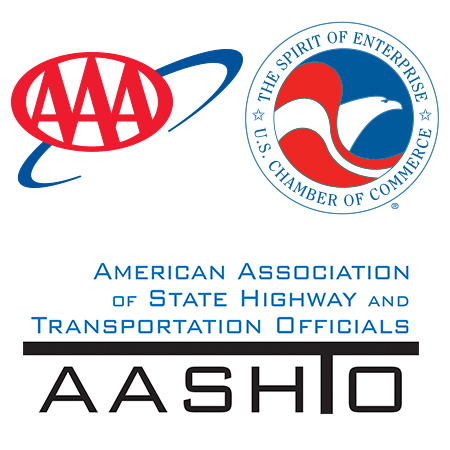 AASHTO will announce the Top 12 finalists on Sept. 7. Online voting for the People’s Choice Award will be from Sept. 7 – Oct. 31. Winners of both national awards will be announced during the AASHTO annual meeting in Boston on Nov. 14. Each winning state DOT also receives a $10,000 check for donation to a charity or scholarship program of its choice.